Snuggled beautifully in the lap of Mother Nature is the Hotel Heevan. Facilitated with all the modern day amenities, it is counted among the most visited hotels of Pahalgam. The green carpets surrounding the hotel provide a panoramic vista to the guests. Further, there is a dazzling river flowing along the side of the hotel, which is another delight for the sore eyes. 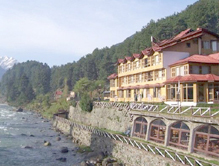 Besides the breath-taking views, the hotel is famous for its grand hospitality. Accommodation Classified as Guest Rooms and Deluxe Rooms, the accommodation options of the Hotel Heevan provide the guest all the amenities required for a comfy stay. Round the clock room service, attached bathrooms with 24-hour hot and cold running water, TV with cable connection and laundry services are some of the facilities that are duly installed in every room. 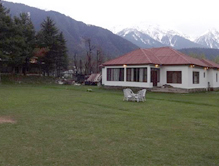 Moreover, these rooms are highly spacious, providing you complete space for spending holidays in king style at Pahalgam. Note: An extra bed can be provided (if required). Dining To stimulate the taste buds of the guests, Hotel Heevan has a multi-cuisine restaurant. The delicacies prepared at the hotel restaurant are tastes like more and draw a lot of visitors to the place. Perhaps, it is the freshly procured ingredients that add to the savor of the dishes. Further, the hotel also has a coffee shop that serves some of the best beverages. The fragrance of the flavorsome beverages of the café gives a sweet sensation to the guests. 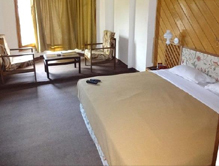 Hotel Heevan is one of the most famous resorts of Pahalgam, and we offer you an easy booking at this hotel. Make an early booking with us at the Hotel Heevan and avail the best deal at the best price.